Designed at the same time as Pretty Legs this building will frame the view of the new Highcross Shopping Centre and act as a gate-way into Leicester. 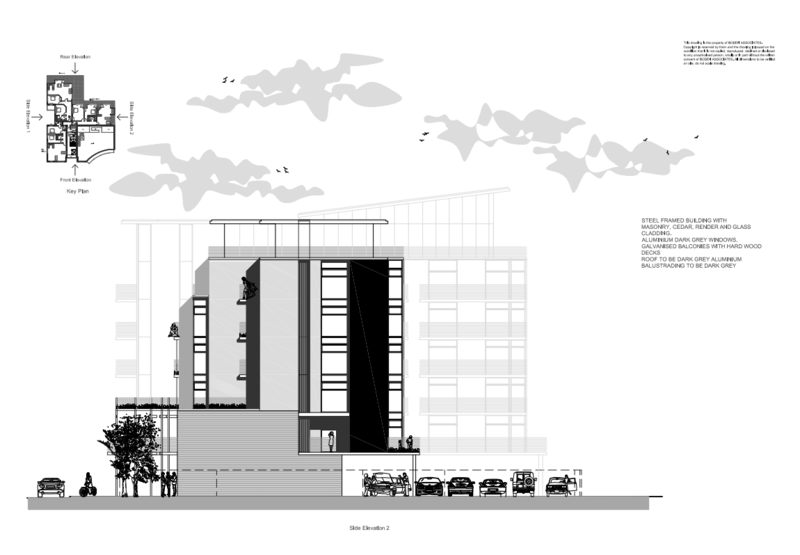 It was planned for 23 apartments and presented some very difficult planning challenges at the design phase. 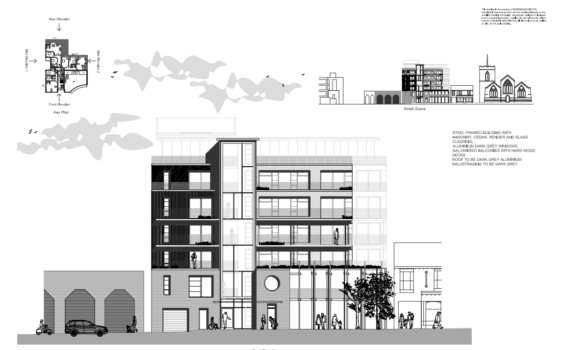 The site is in a conservation area and the design needed to respond to its location and be sympathetic in scale and mass to the listed church adjacent to it. 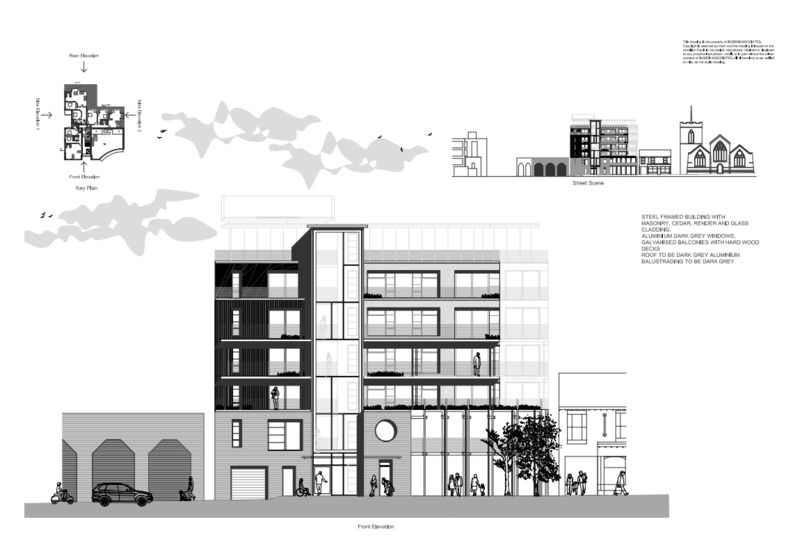 Through dogged determination and well-presented arguments we got this scheme through planning in thirteen weeks which we were delighted with as was the client.